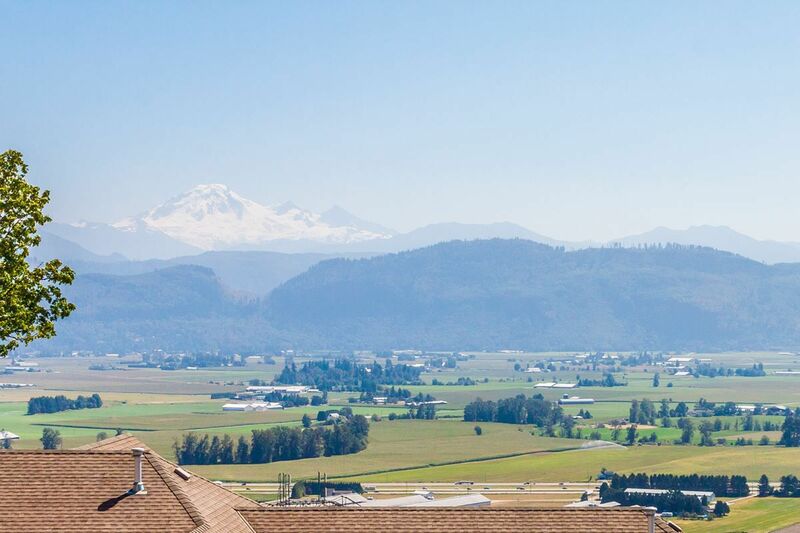 The best art work available is framed by the south facing windows from this gorgeous townhouse with spectacular views of Mount Baker and the Valley. This Rancher style townhouse with loft and full walk out basement offers an open concept with bright and spacious rooms. Lots of options for room uses. It features two master bedrooms - one on the main and another in the lower level. The lower level has a full guest kitchen allowing you and your teens/company privacy and independence. Entertain on your spacious, private deck. Surrounded by nature with forest outside your front door - enjoy hiking and biking within seconds. Live green with professional tinted windows. 2 Ventex toilets. Many upgrades done when built. One pet allowed.